[By Nick] Have you ever heard of, let alone tried, kefir? I know I hadn’t until around a year ago. My friend had made a homemade version of it in frozen form and invited me over to try it. From what I recall, it was okay but nothing earth shattering. 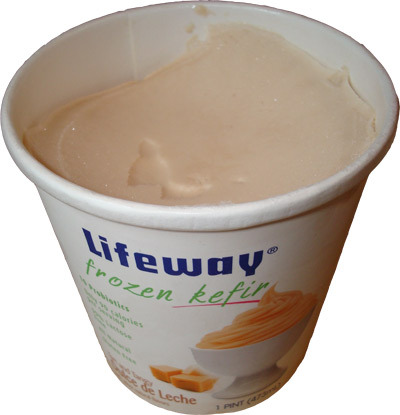 I actually forgot all about it until Dubba offered me the opportunity to sample a line of frozen kefir from Lifeway Foods. 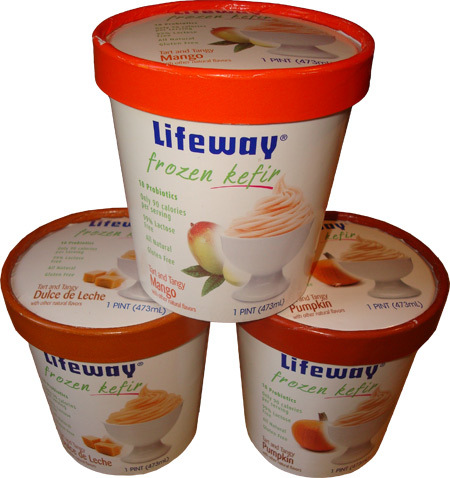 To give you a little background on what kefir is I’ll let Lifeway describe it for you. “Kefir is a cultured probiotic beverage similar in taste and texture to drinkable yogurt, and made from milk fermented with kefir cultures. Originating over 2000 years ago in the Caucasus Mountains-where many people live well over 100 years - kefir has been associated with a long list of health benefits.” From what I was told from my friend, it’s originally a drinkable tangier cousin of yogurt with a lot more positive health benefits. Each of their frozen kefir varieties feature all-natural ingredients and 10 probiotic cultures. Each flavor has only 90 calories per serving, 1 gram of fat per serving and is 99% lactose-free as well as gluten-free. As you can see this stuff is like frozen yogurt on steroids. Those stats are fine and dandy but mean nothing if their product doesn’t taste good. For my first review, I’m going to review the flavor that interested me the most and that would be the (discontinued) Pumpkin Frozen Kefir. Pumpkin is a seasonal flavor for most companies but in my opinion should be a year round flavor. I get cravings for crust-less pumpkin pie all the time so it’s nice to see a company feature it in their normal rotation. Opening this one up, the kefir is a pleasant orange but looks to have sunken in the pint a bit. After taking a scoop, I’m a bit surprised. This one takes just like pumpkin and not pumpkin pie like I had originally thought. There are notes of cinnamon and nutmeg but they are very minuscule. Still this is some tasty stuff. 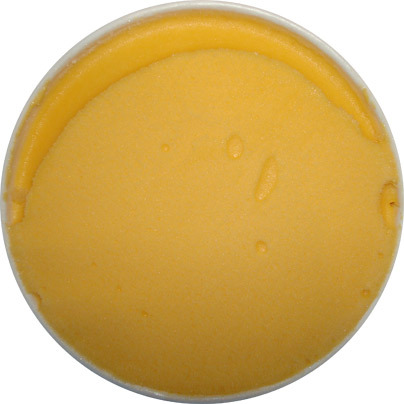 It has a slight bit of tartness to it but it really works well with the pumpkin flavor. I still find myself being a bit let down with the lack of predominant spices though. I decided to sprinkle a little pumpkin pie spice on the kefir to see what would happen. That was a good idea because it instantly turned this into the pumpkin pie flavor I had originally hoped for. There’s not much of a complaint from a texture standpoint. The best way to describe it would be that it was slightly less creamy than your normal frozen yogurt but I was fine with it. From here on out to eliminate redundancy, unless noted the texture among these are all very similar. Lifeway is off to a good start with this one. The next one to peak my interest was the Mango Frozen Kefir. 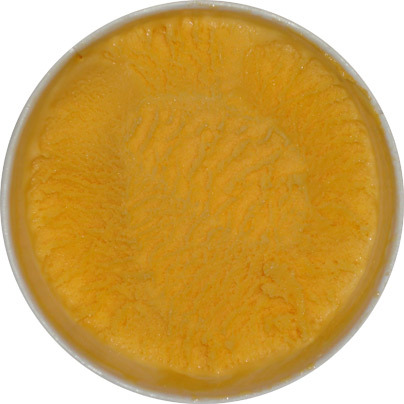 You don’t see mangoes used much outside of sorbets, so seeing it in a creamy application is a welcomed change of pace. Removing the lid and protective film, it looks like the mango fared better and didn’t sink in like the last pint. You can also see that the color is pretty close to the pumpkin, albeit a bit more orange. Just like the pumpkin though, the flavor is dead on. I felt as if I was eating fresh cut mango slices just in a creamy form. Okay, a better way to put it would be it was like a mango smoothie. The kefir feels very tropical if that makes any sense. The tartness of the kefir works nicely with this one because it gives it a more citrus like bite This one is just very natural and refreshing. The words to describe this one don’t seem to be coming to me though. I find myself enjoying this one more than the pumpkin if that helps at all. If you enjoy mangos, you’ll definitely love this one. 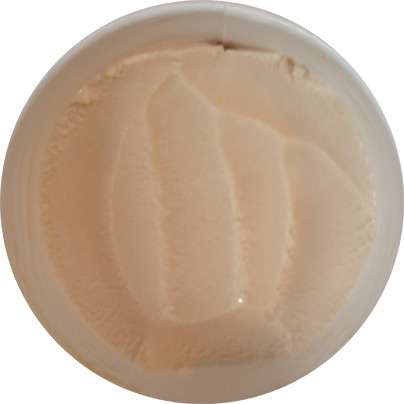 Last but not least is the (discontinued) Dulce de Leche Frozen Kefir. I’ve praised Dulce de Leche enough times on this blog. I’ll save you all the introduction and get right to the product. I would be lying if I said I wasn’t a bit hesitant in trying this one. There’s just something about tartness and caramel that doesn’t sit well with me. Removing the cover and as you can see this one sunk in a lot more than the pumpkin did. Seriously it looked to have shrunken in about 1/6th of the pint. The color isn’t too appealing seeing as its more beige than I would like for something resembling dulce de leche. I'm scooping this one out and right off the bat I can tell this one isn’t going to be as creamy as the other two. I think when it shrunk; it got very dense and also didn’t retain as much creaminess. Taking a bite and my original suspicion was confirmed. 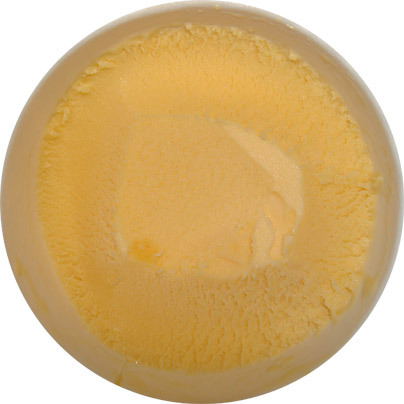 The texture reminds me more of a non-fat frozen yogurt this time around. Not exactly a bad thing but I did like the texture of the other two pints more. It’s not winning any contests in the flavor department either. You can taste a slight hint of caramel but it’s very tame. The tartness of this one doesn’t work either. I feel like the tartness actually takes away from the caramel flavor and the tang distracts me from the flavor it was intended to be. This was definitely my least favorite of the bunch. I would just like to thank Lifeway for giving me the opportunity to try out their products for free. There will be two more installments of their products in the near future. Next up will be a couple of their (discontinued) Greek Froyos and after that will be one of their products from their Probugs line. I tried the strawberry and the plain flavor. I loved them both! It's a great satisfying low calorie dessert. I find myself eating the whole pint as a meal replacement. You also can make Kefir yourself, I alwasy buy my Kefir Starter Cultures from www.buy-kefir.co.uk. They ship all over the world, without additional charges. It's easy to make and there are a lot of easy Kefir recipes one can find on the internet. I'm actually surprised they never sent me their original flavor. It would've helped me get some sort of feeling for what their product was. I have seen the strawberry flavor though, so I might have to give that one a shot sometime soon. Hmm that's intriguing though I think I'd just go the more convenient route and just buy the pre-made stuff. The pumpkin looks the most appealing. Sure hope these come out in my area. Thanks for the heads up on the tartness in the Dulce de Leche. Probably would have tried this one first but don't enjoy the tart/tangy thing. They all have a bit of tartness but it works well with the first two. 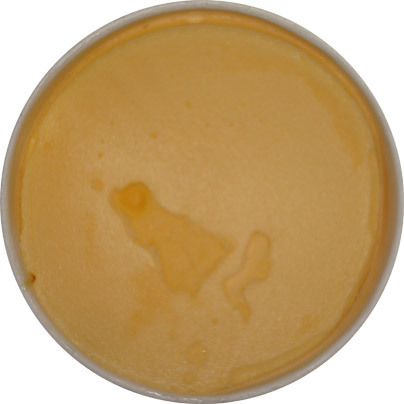 It just doesn't compliment the dulce de leche and becomes the dominating component of the pint. If you end up finding them, be sure to let us know what you think! The plain flavor is great, I never tried any of the others but am looking forward to the pumpkin now! I'm kind of curious as to what plain kefir tastes like. I'm not much of a fan of plain yogurt though, so I'm not sure if I'd be too fond of it. The plain frozen kefir reminds me a little bit of pinkberry frozen yogurt. It's not bad. I've only found plain and strawberry at my grocery store but I'm hoping they'll carry some more interesting flavors soon. I don't have a pinkberry so that's not much of help to me but thanks though. I've only been able to find the plain, strawberry and the pomegranate versions around me. It seems like they're slowly infiltrating the freezer section.